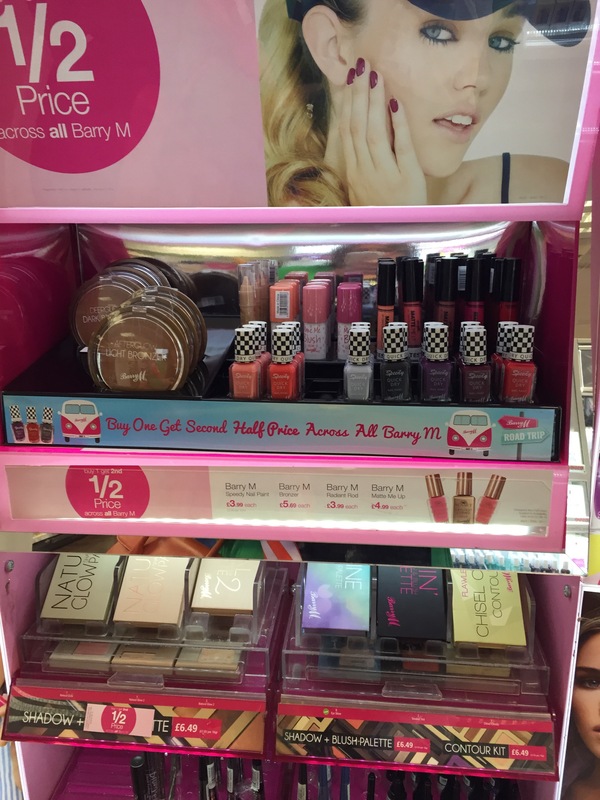 Another quick spot for you in this post – new items and new ranges in my local Boots. More updated stands with this white backdrop, sadly most people seem to go in and drip nail polish all over it. But there you go. 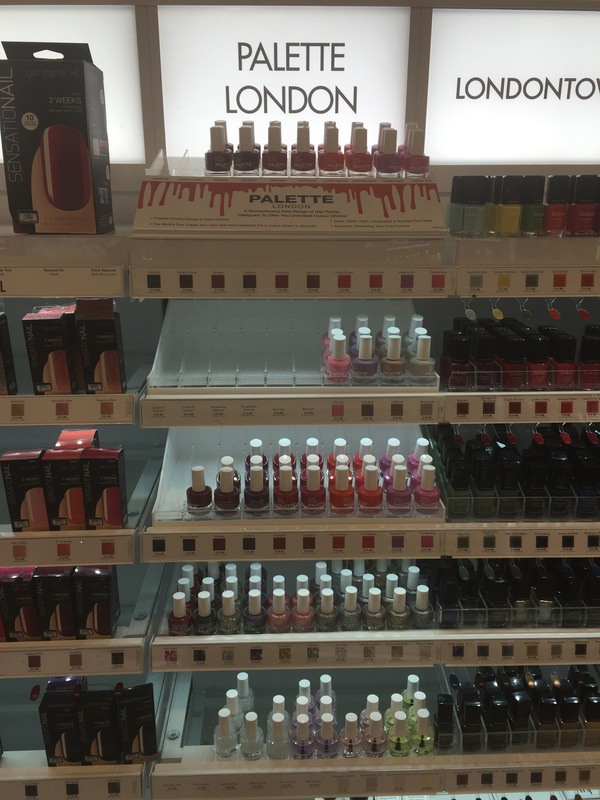 First up, Palette London. 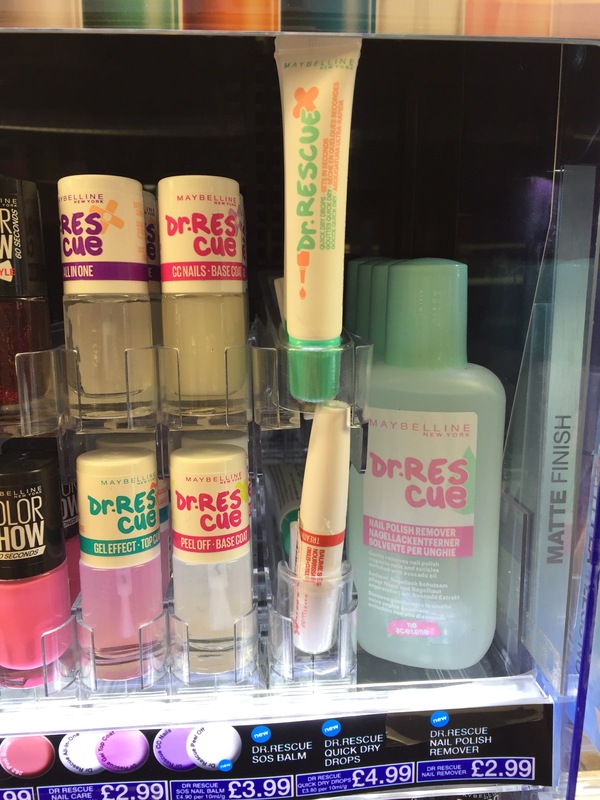 Also updated lines in the Ciate stands. 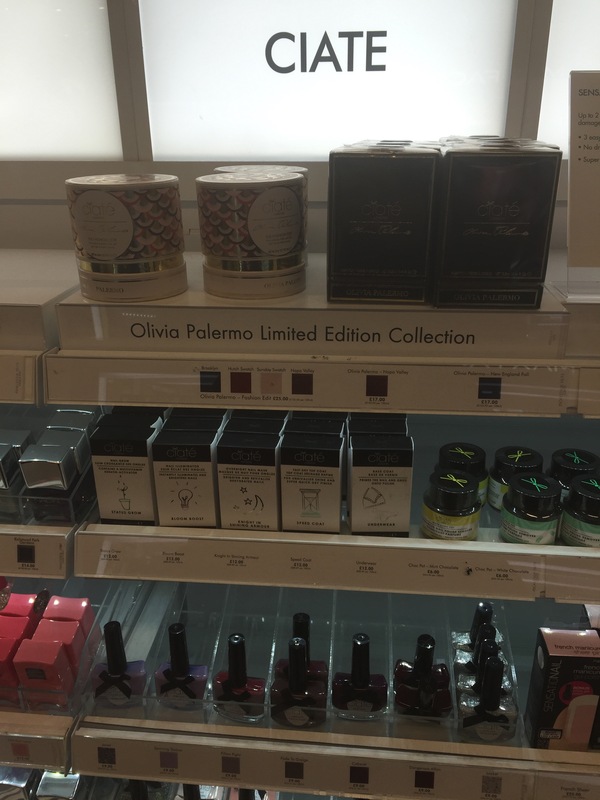 Including the new Olivia Palmero range. 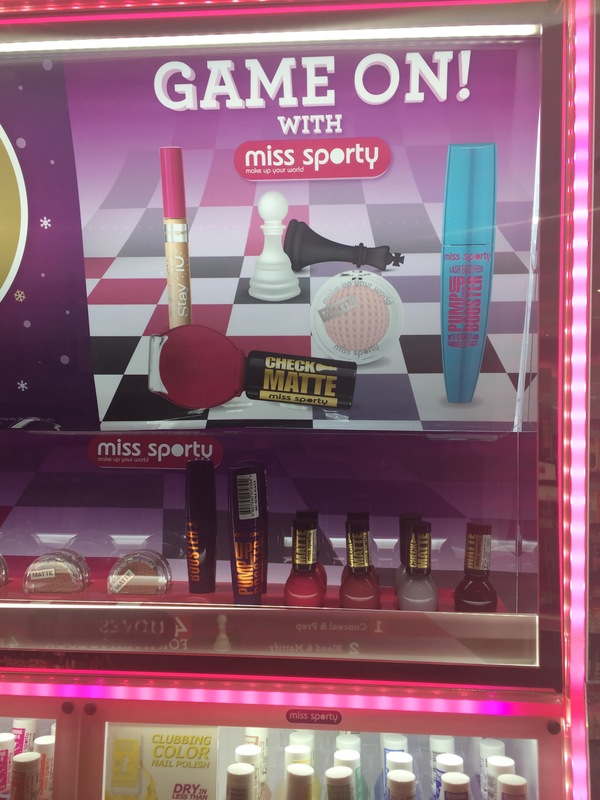 And then what looks like new ranges coming up for Miss Sporty! Anything catch you eye? Let me know in the comments. 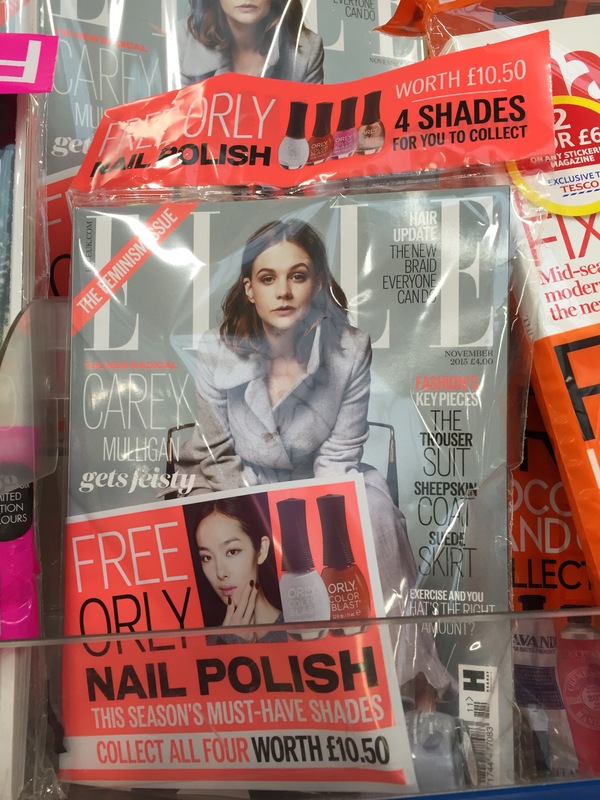 I’ve not checked out a M&S beauty section in a while – seems I’ve been missing out! 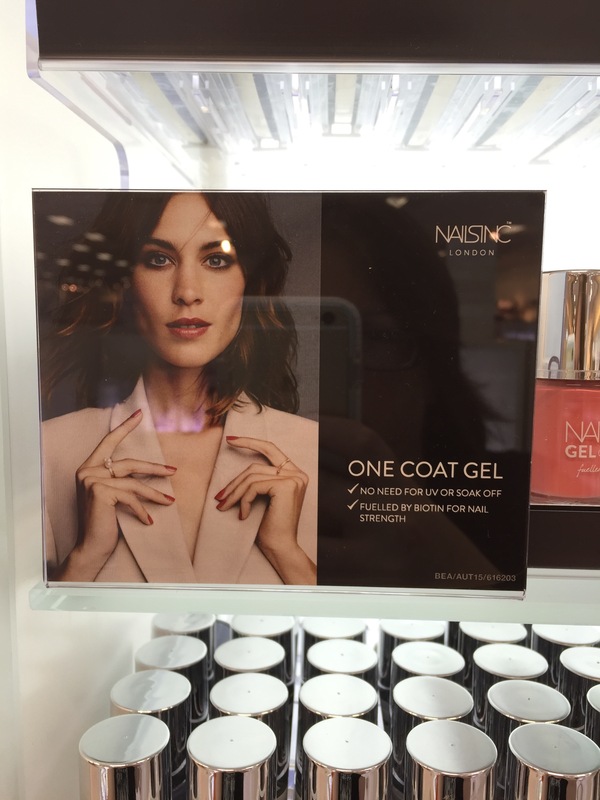 Not only was there ‘new-to-me’ Nails Inc One Coat Gels (Did you know about these??) but they are back in the round bottle. 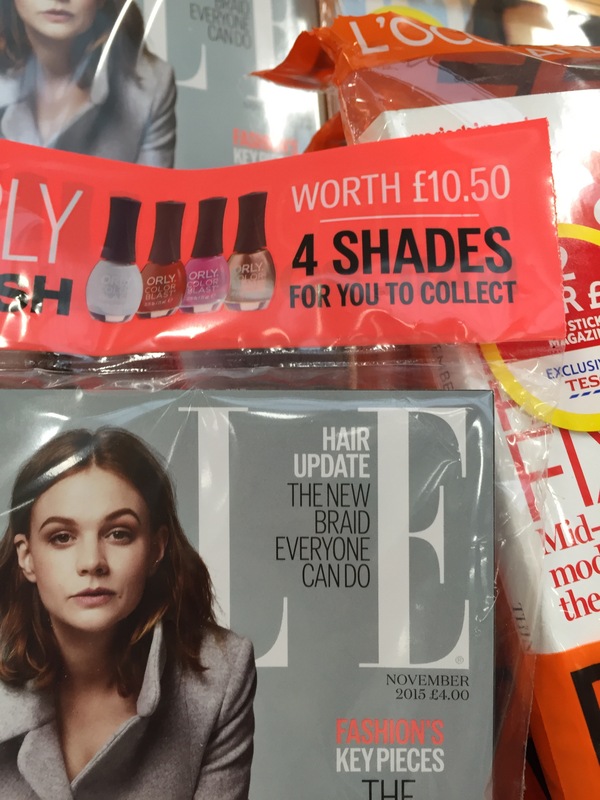 Not sure if this is just for M&S or the range itself – either way, an interesting product! 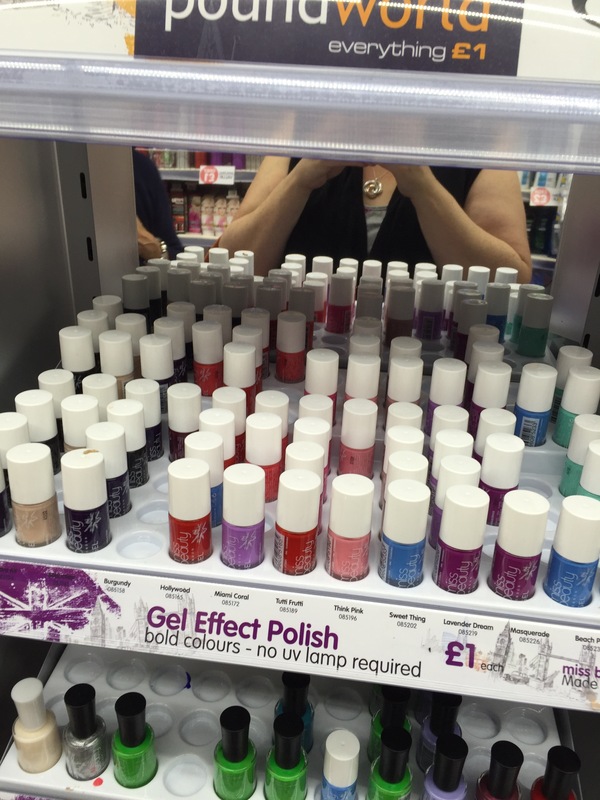 Looks like nearly the whole core range to me – all in the new One Coat Gel polish. 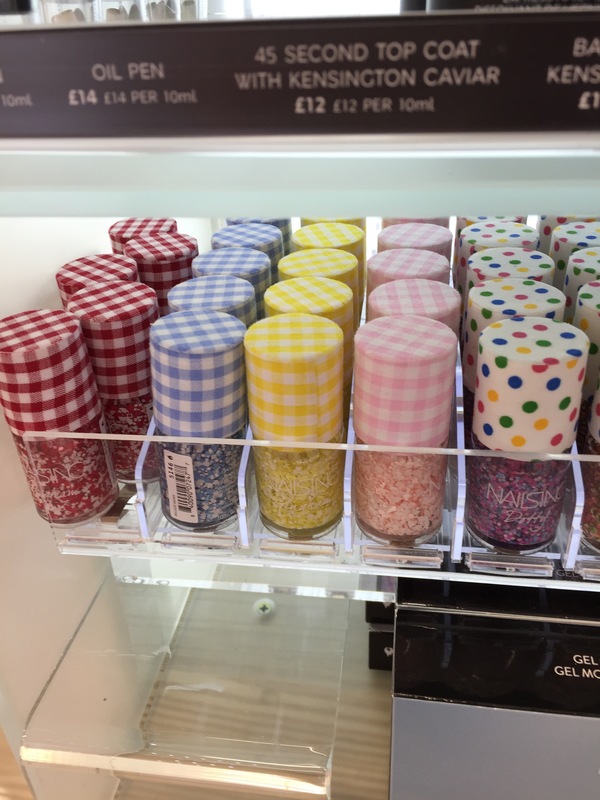 Then some cute glitters and toppers in the base of the display. Ones with cute gingham caps and Nails Inc Dotty. 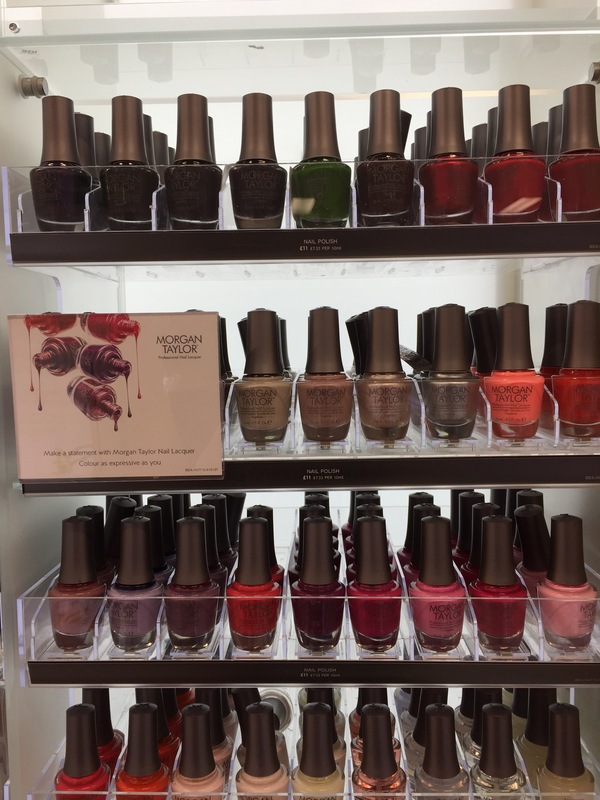 Cotton Candy Nails Inc.
Also in M&S was a huge range of Morgan Taylor polishes – which I’ve never seen outside of a Sally Beauty before. Have you? Also, a quick plug, I’ve just joined Instagram, so if you want to see new products as soon as I see them, then do give me a follow! Now forgive me if I am wrong, I don’t think I have seen this before. 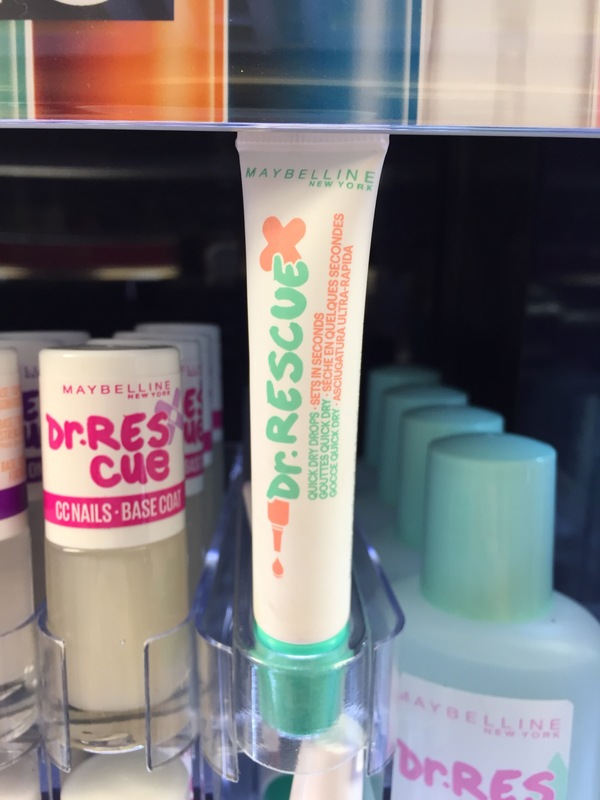 This tube is Dr Rescue nail polish drying drops! Wow, look at that, a small tube. Instructions say one drop per nail. I didn’t pick it up, but I am curious. Also note the new Peel Off Base coat. And its clear, not milky white like other brands we have seen release. Curious here too. May have to pick them both up as I love good peel off base! You all know I am so going back for those two items don’t you??! Spotted! 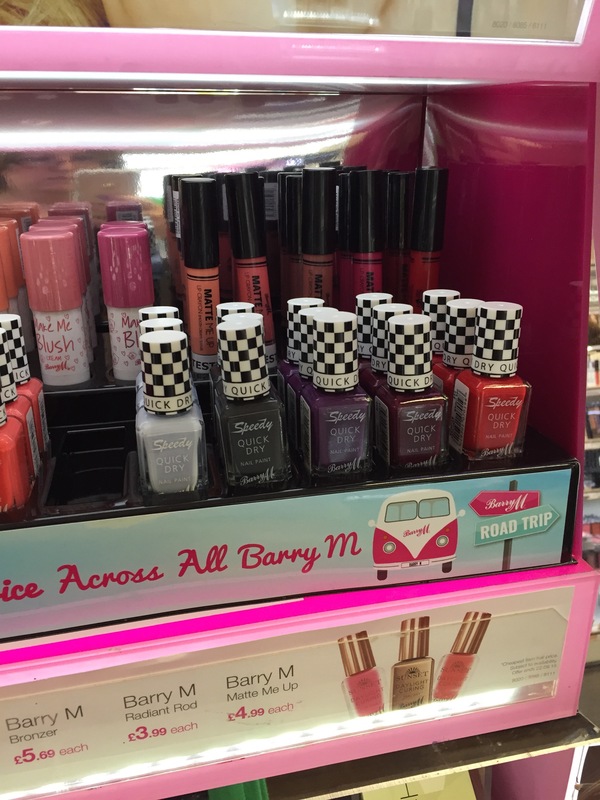 New Barry M speedy polishes! 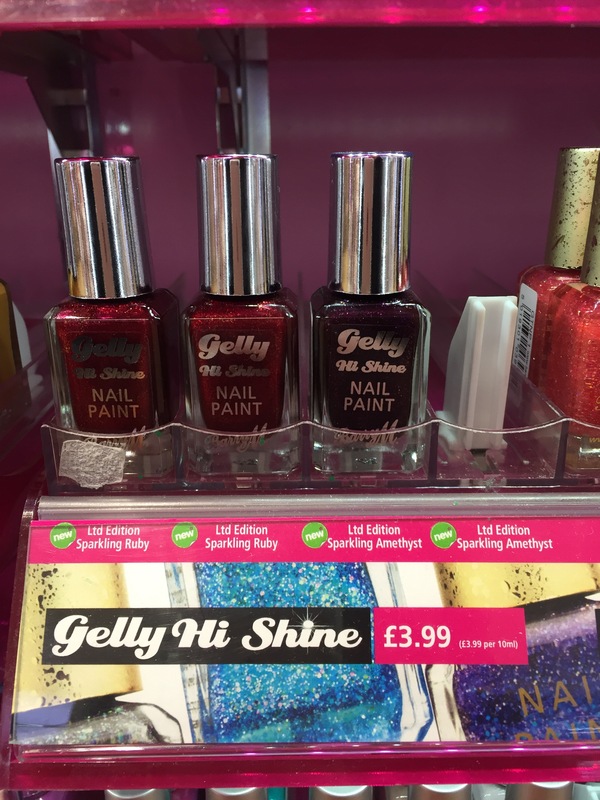 A quick public service announcement, the new Barry M Speedy Nail Polishes has been popping up in Superdrug stores this last week – plus with a buy one get half off deal, if you fancy some of the more autumn shades, I suggest you get there asap! 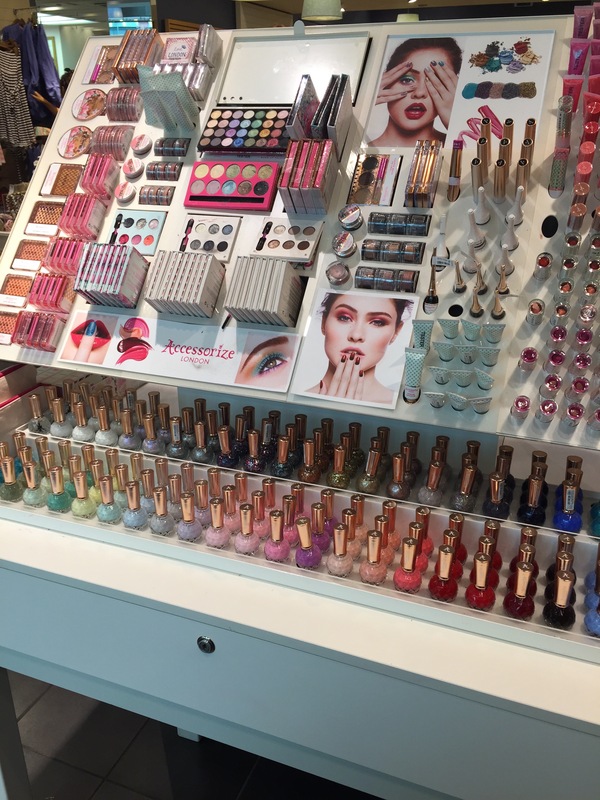 Also the new Matte lippies and blush sticks are loitering at the back. What do you think? Will you be picking any of the new ranges up? 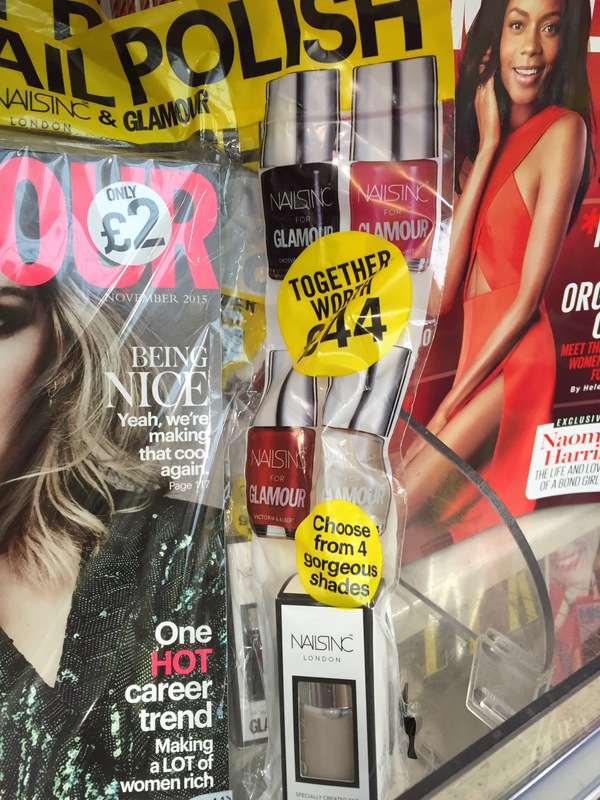 I remember Accessorise make up of old, you used to be able to pick it up in Boots Chemists and the store themselves. 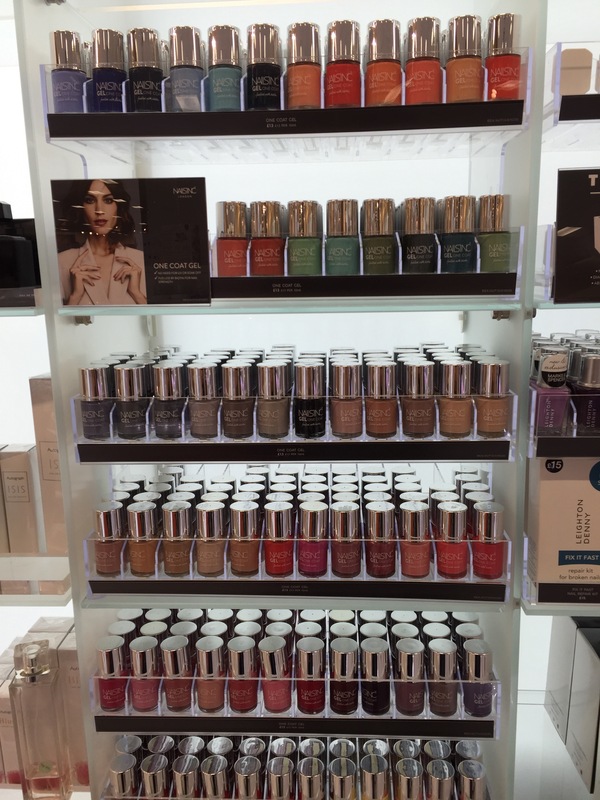 I’ve not been in Accessorise for ages and I popped in with my mum to see this new stand packed with make up and polish! 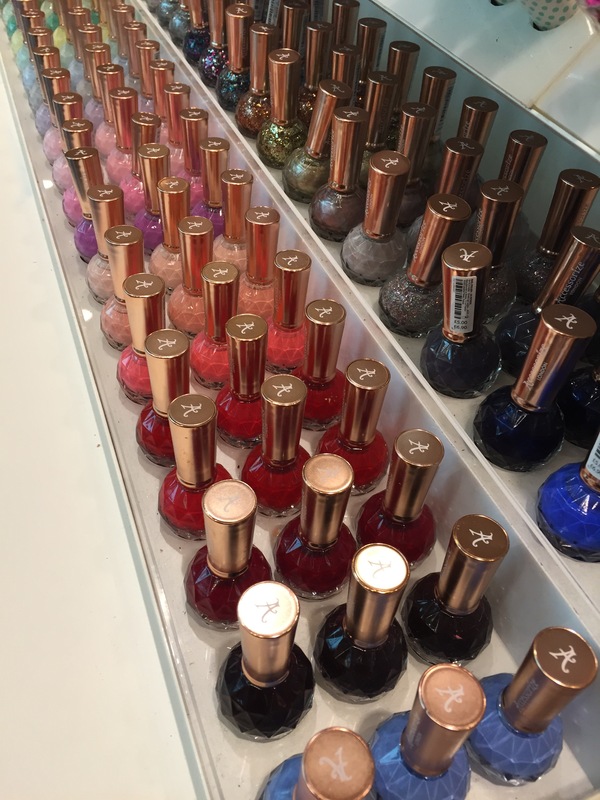 Wow, look at all those lovely bottles! 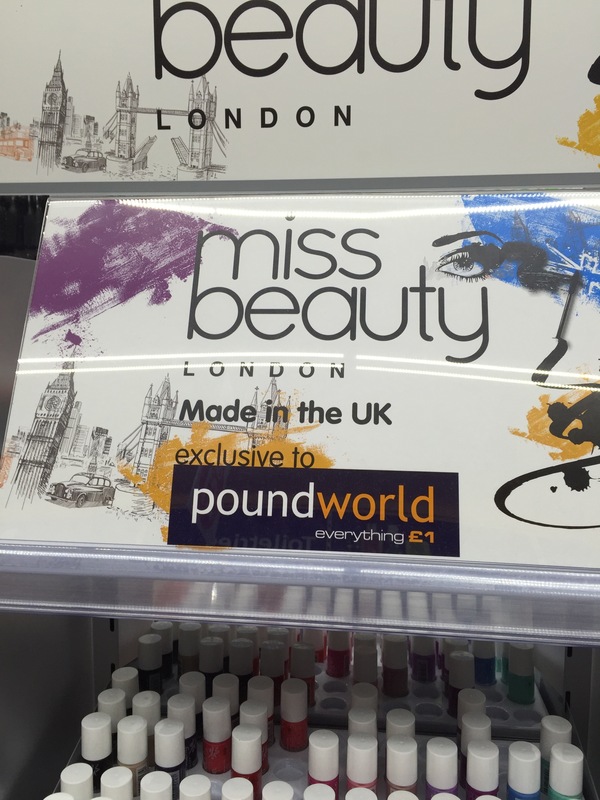 I was passing a local Poundworld when I noticed that they now had their own beauty and make up range, just like Poundland. 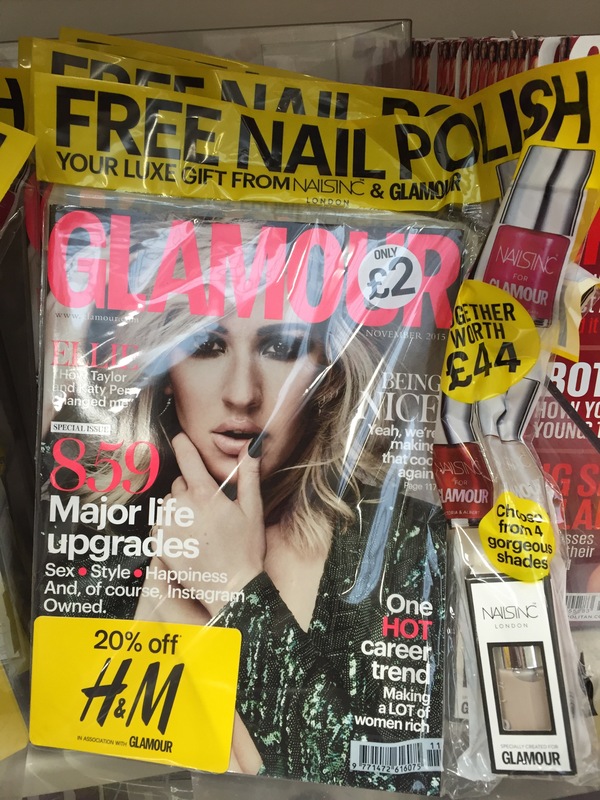 As you might be aware, most items instore are £1. Check out some pictures below. Have you tried this or any of the other pound ranges? Not lots out and about, its the calm before the Autumn/Winter rush of releases. 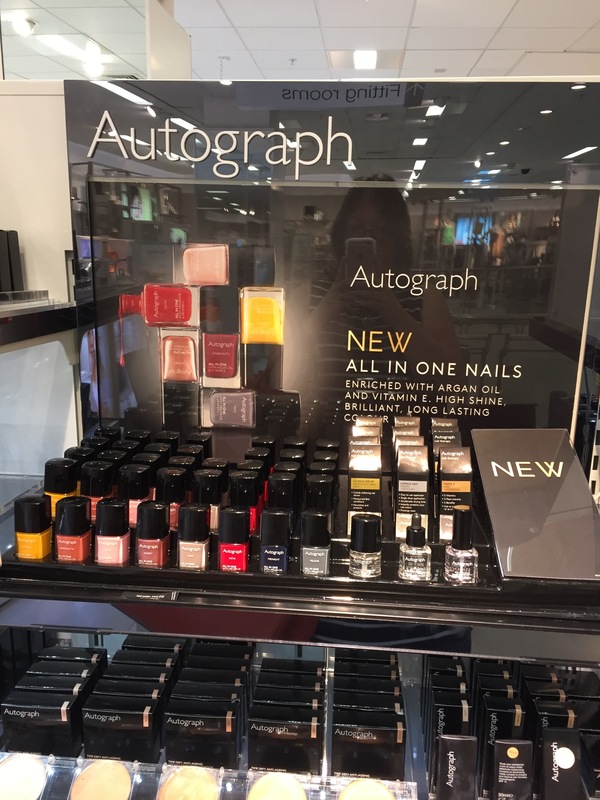 First up is the new Autograph polish range in M&S, a good solid range of colours with top and base coats. 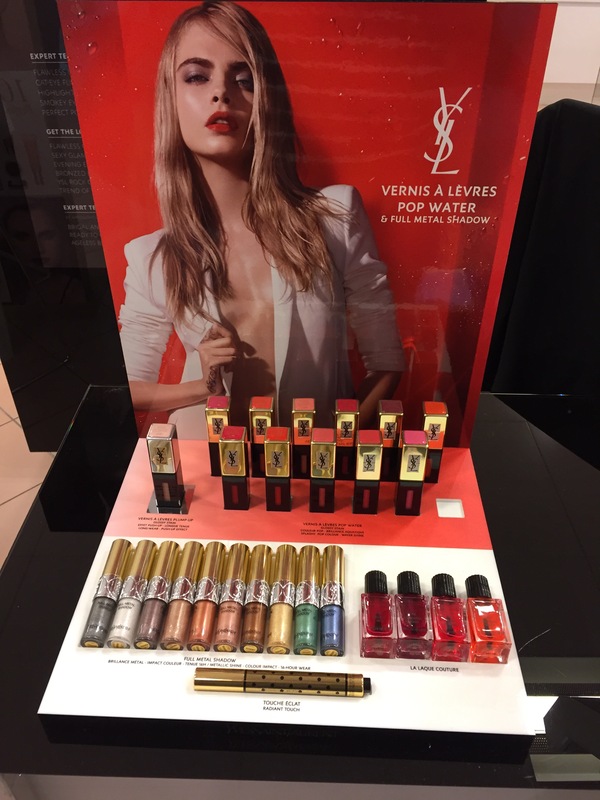 Then a new YSL Collection called Pop Water. Looks like jellie shades going on here! 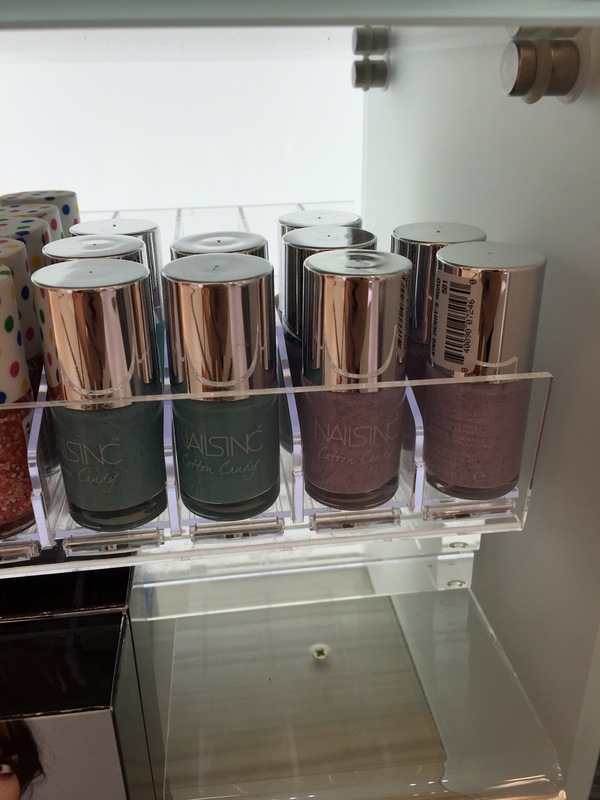 Four in the range, probably provide a bit of a tint on a nail? I’ve not seen any review yet, but I am sure they are coming Anything catch your eye? Let me know in the comments! A couple of quick spots for you. 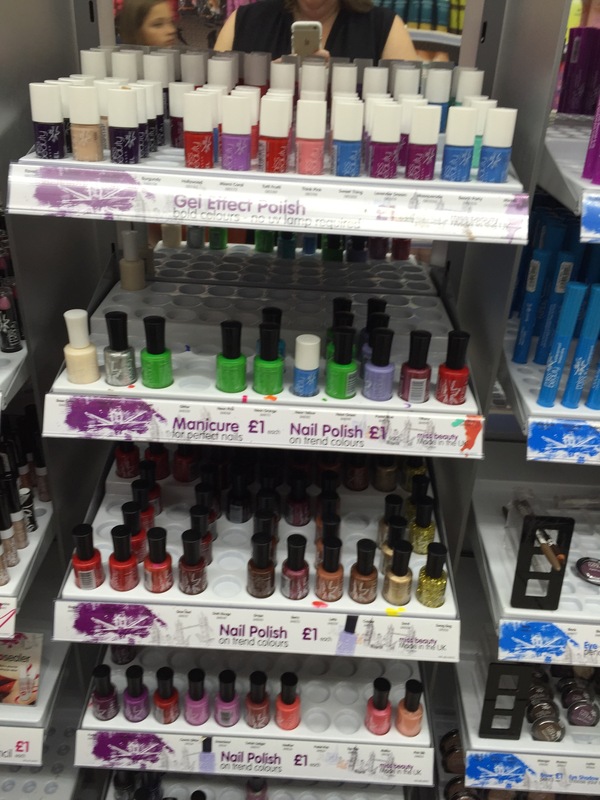 First up, the Barry M stands have been updated. 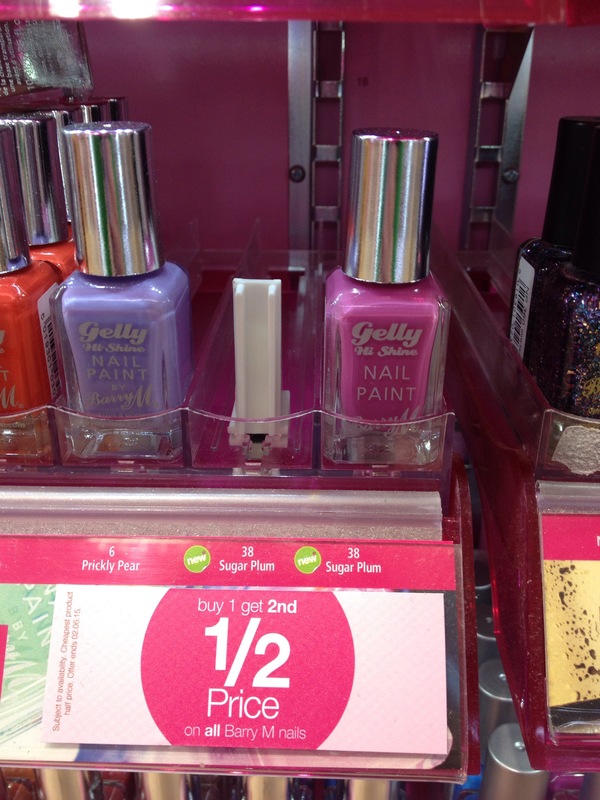 The one new Gelly Shade, Sugar Plum, is now available. 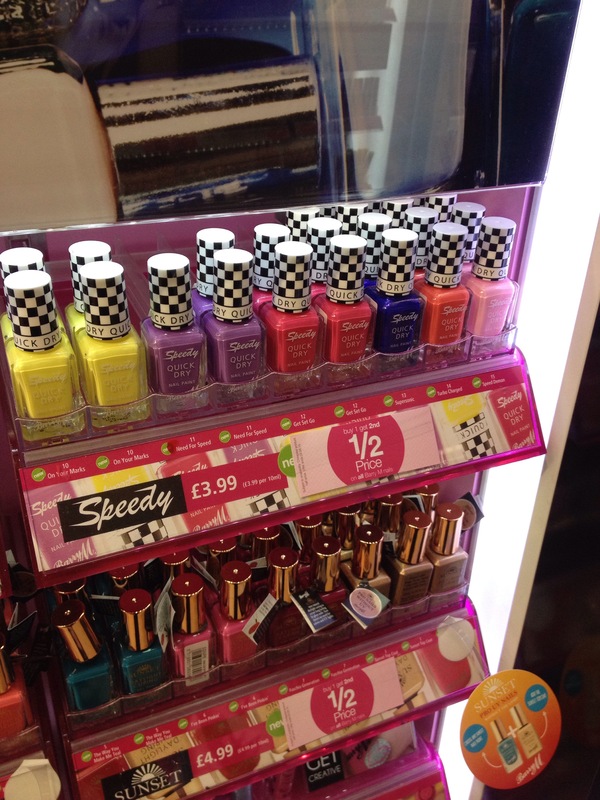 The new Speedy shades, both cremes and shimmers, are also now part of the updated stands. 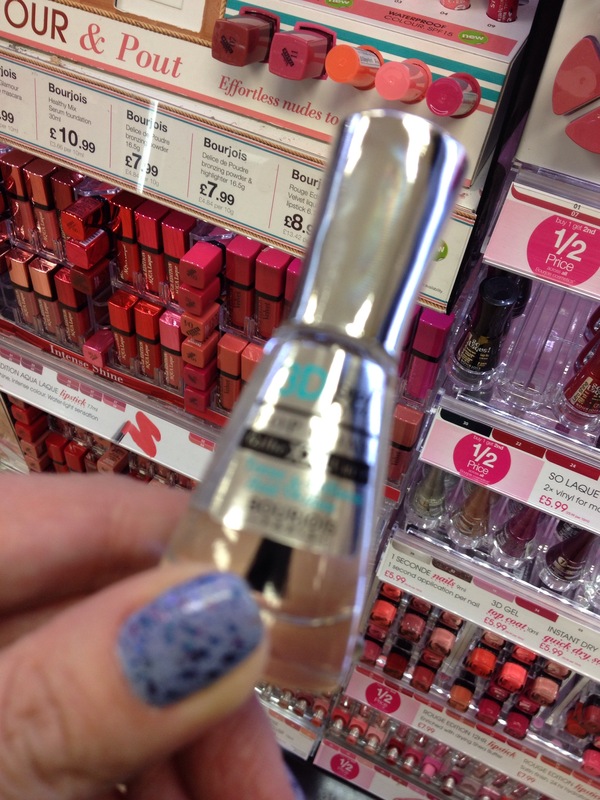 Also out in stores now is the new Bourjois Gel Top Coat. Sorry the picture is awful, I know, but hopefully you get the idea. 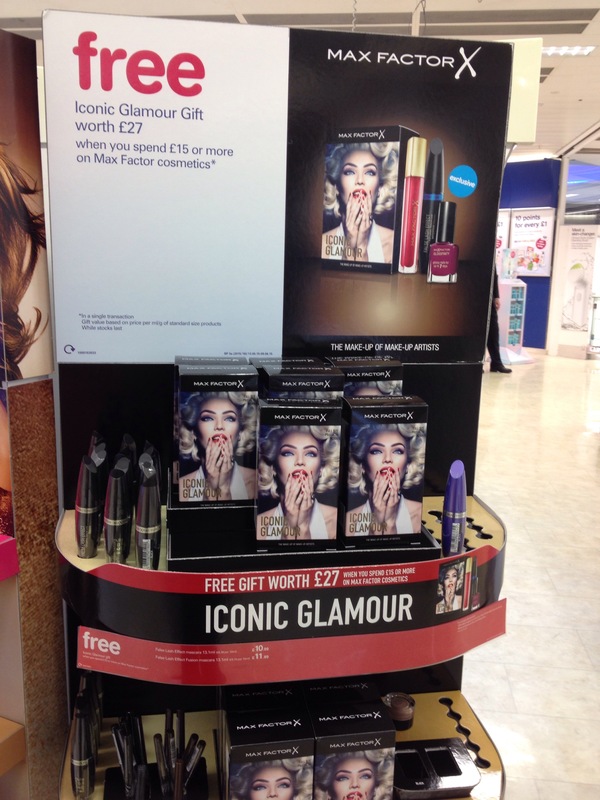 Finally, in Boots, if you spend £15 on Max Factor you can pick up this Gift With Purchase. 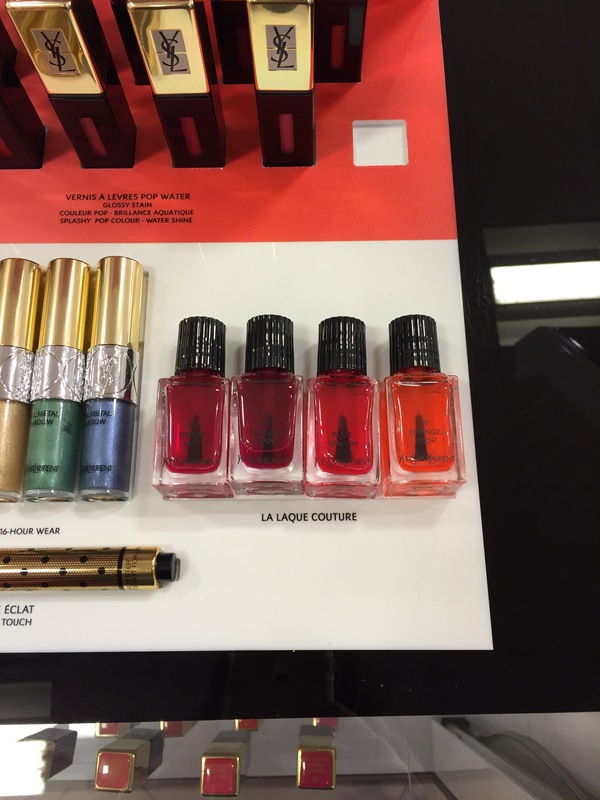 There is a nail polish in the box too. And there we go. Just a few new things, have you picked up any of these or have you seen anything else new on the shelves. Let me know in the comments!